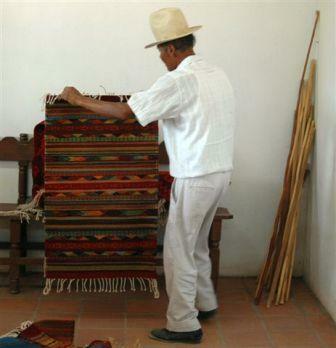 Let’s go back to Oaxaca, Mexico and visit one of the most famous rug makers in the world. Maestro Benito Hernandez and his wife gave us a wonderful tour of their cochineal growing operations as well as the rug making itself. His English, by the way, is excellent. 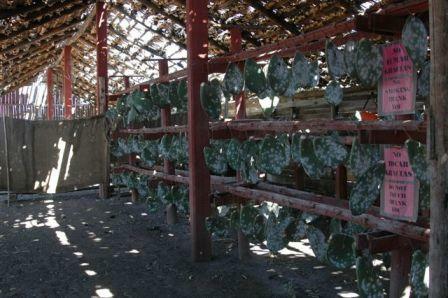 Cochineal feeds on prickly pear cactus, which is the source of not only red dye but also various shades of orange created by lowering the pH with lemon juice. 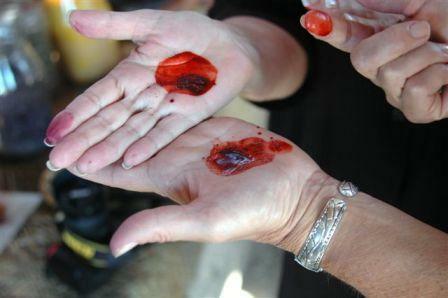 The blue dyes are made from the herb indigo that is growing on the property. Bright yellow colors come from the herb turmeric Brown shades come from mesquite bean pods and bark. 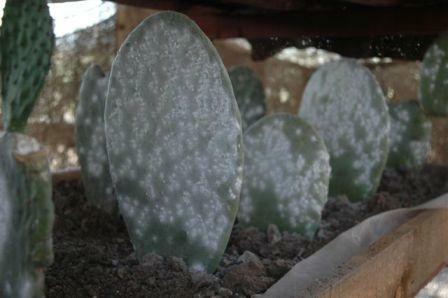 Cochineal growing on prickly pear cactus. 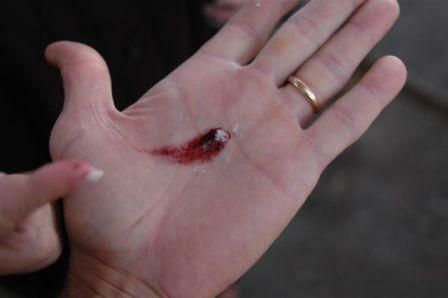 Cochineal dye with lemon juice applied to lighten color. Maestro Hernandez displaying one of his works or art. The rugs they create are not inexpensive, but worth the cost. The colors, the designs and the quality are superior. You'll find no knots in these rugs. They are definitely for hanging on the wall, not for walking on. 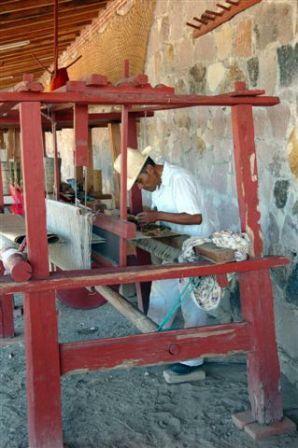 See more photos of the Oaxaca rug trip. Look for more Dirt Doctor Organic News in your email and on the home page of DirtDoctor.com. To receive other great natural organic advice and information like interactive Organic Forums, videos and the monthly DIRT newsletter, you can Join the Ground Crew. If you are already a member, Thank you!